This is so odd I just had to feature it. 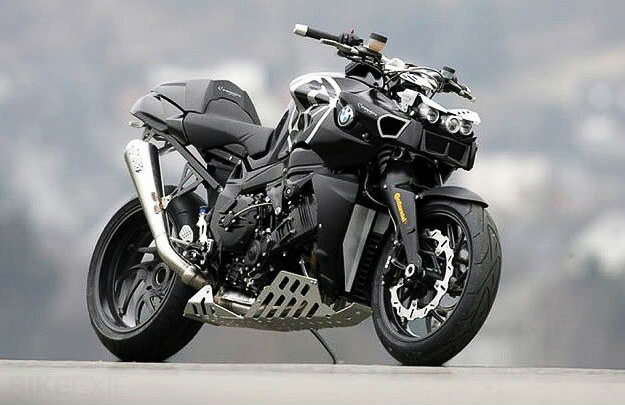 When BMW launched the K1200R in 2006, it was the world’s most powerful naked bike. But even with 163 hp on tap and immaculate handling, there’s always someone, somewhere, who wants more. 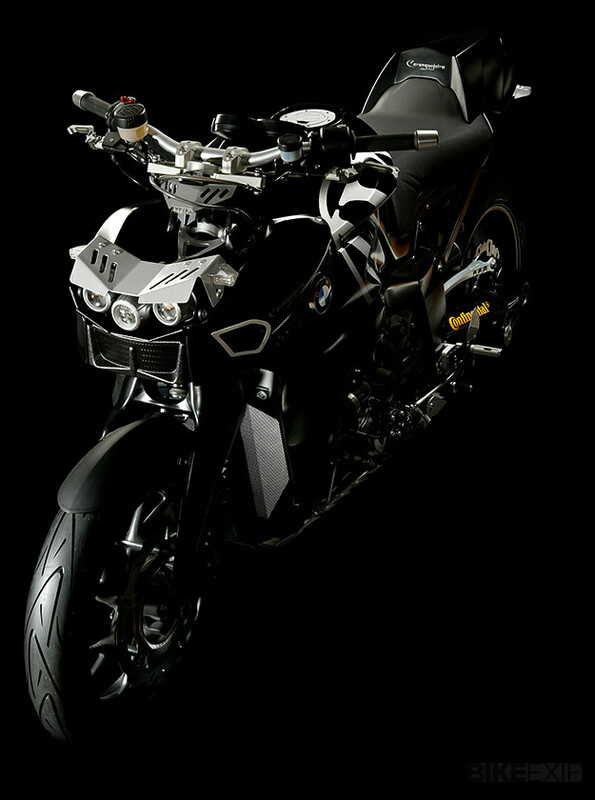 To satisfy such folks, the German tuner Wunderlich hired the Dutch designer Bart van den Bogaard, and let him loose on the K1200R. The result is the Wunderlich Caranguejeira, named after a large Brazilian spider. And it looks … um … interesting. 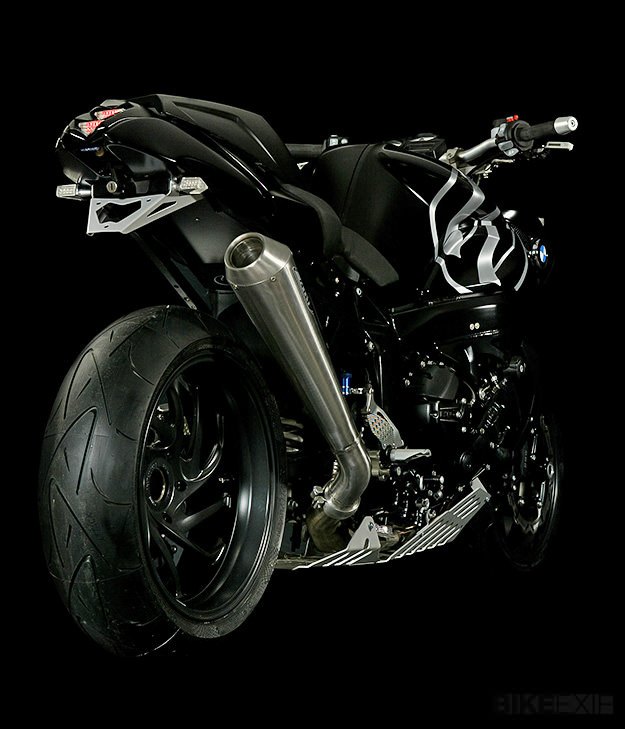 (A UK bike magazine describes it as “a savage nuclear-winter-surviving urban attack vehicle.”) The basic Caranguejeira conversion includes a new top yoke, tapered aluminum bars, triple headlights and a carbon fiber rear seat cowl. The instruments are relocated to the top of the tank. Power junkies can also fit a double air intake kit to boost output by 5+ hp, plus a Zard PowerGun silencer that might add a little more. Interessant, nicht wahr?